The wait is over. The finalists in the 2017 American Horse Publications Equine Media Awards (EMA) have been named. “This announcement ends two-months of anticipation for the 71 AHP members who have learned that they placed in the top five in one or more of 64 classes,” says Chris Brune, AHP Executive Director and EMA Coordinator. 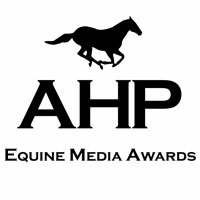 Members interested in attending the AHP Equine Media Conference & Awards in Scottsdale can access conference information and register online at https://www.americanhorsepubs.org/attending-ahp-annual-conference/. American Horse Publications has united equine-related publishing media, businesses, professionals, colleges, and students for nearly 50 years. The non-profit professional association promotes excellence in equine publishing media and encourages relationships and communication within the horse industry. For more information, visit www.americanhorsepubs.org.